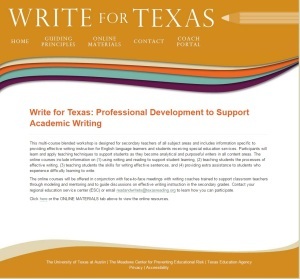 The North Star of Texas Writing project has received a grant from the Texas Education Agency to work with select school districts in South Texas. As part of this grant we are also involved with the Sabal Palms Writing Project and the South Texas Writing Project. 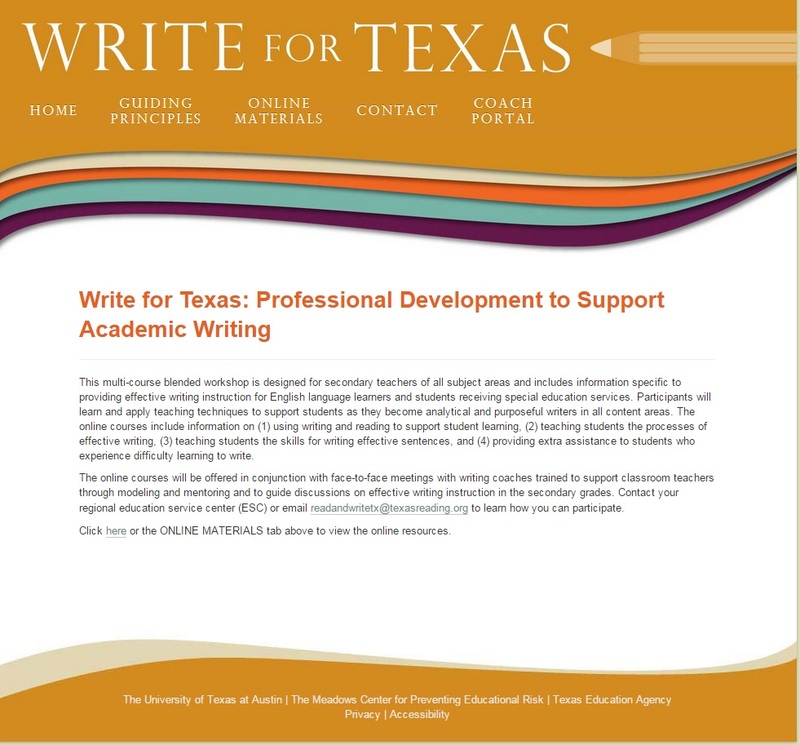 Teacher consultants from both of these writing project sites are involved in teacher professional development related to our Write for Texas Work. The grant started during the 2014-2015 school year. We recently found out that the grant will be funded through the 2016-2017 school year. This will allow the North Star of Texas Writing Project to continue to foster connections in the South Texas region.